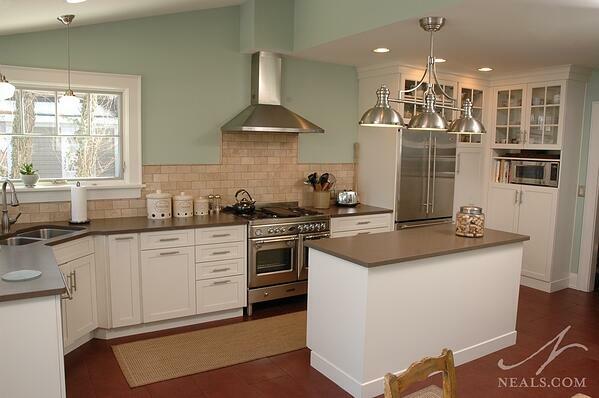 Functional kitchens require a fair amount of lighting, the most important of which is task lighting. Light directed toward food prep, cooking, eating, and cleaning areas provides for a safer environment, but in general just makes it easier to see what it is you're doing. Task lighting can be achieved in a variety of ways, but in some instances, a decorative light fixture can do the trick. 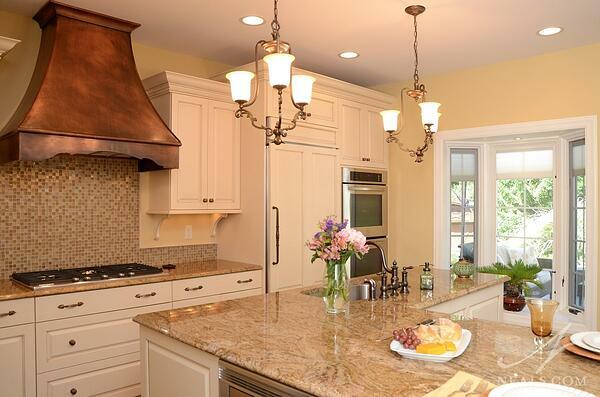 Here are the 3 types of decorative fixtures we see most often. The purpose of a task light is to make the activity under it safer and easier. There are all types of lights out there, but not all lights are suitable to the function of task lighting. Note also that food prep areas will require more light than eating areas. Use lighting controls and a variety of lighting options in addition to your decorative selections to illuminate your kitchen properly. To get some ideas beyond what we have here, head over to our Kitchens | Lighting Pinterest Board. Pendant lighting (also sometimes called "drop light") comes in three basic varieties: uplights, downlights, and ambient. For task lighting, downlights, which direct the fixtures light down to the surface below, are preferred, but depending on the other lights used in your overall scheme, any variety of pendant may be suitable. The term pendant is used for the whole range of fixtures that hang from the ceiling, either by a cord, chain or rod. To distinguish pendants from other types of lights, the term is used for fixtures that hang from a single point, and use either a single bulb or multiple bulbs housed together within a single unit. Style options for pendants are nearly endless, such that there's a style of pendant out there for just about every style of kitchen. 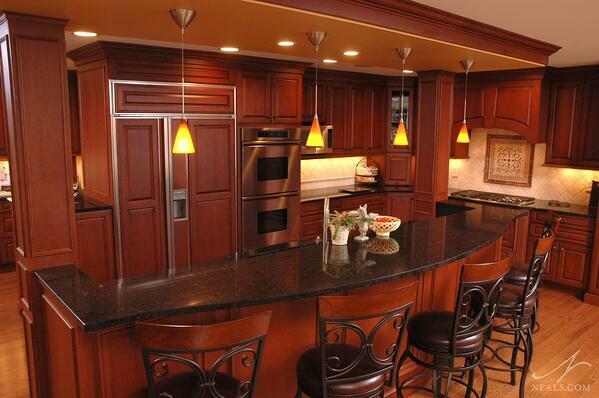 On occasion, the light is chosen to blend seamlessly with the kitchen and not particularly stand out. 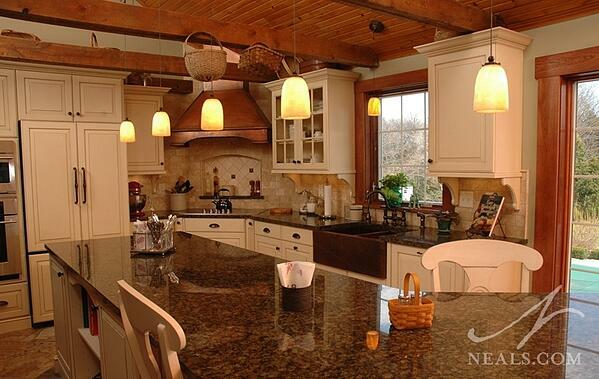 Often, however, pendants act as the jewels of the kitchen, and inject some personality. 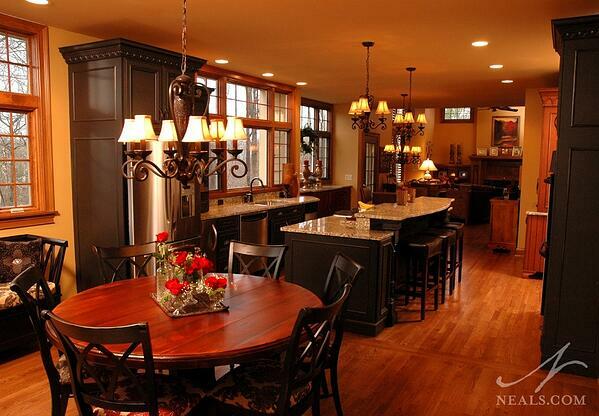 Classic and traditional, chandeliers can provide ambient lighting over a work surface. The trick in a kitchen application is to find chandeliers that do not overwhelm the space, and are well-matched to the rooms specific style. Chandeliers can also be unexpected in the kitchen, which makes them well-suited as style statements. Most chandeliers are not downlights, so if you're thinking of using one (or more) in your kitchen, be prepared to pair it with recessed lighting that can add more task illumination, or to use it only over areas that need light, but not an overwhelming amount (such as over an eating counter). Some decorative fixtures fall into a category of their own, but are still suitable to various task lighting applications. Industrial fixtures, artisan-made or custom light installations, or fixtures that simple defy categorization all fall into this bucket. Here, as with chandeliers, the key is to finding a fixture that makes the right statement and is in tune with the surrounding kitchen. Before selecting a unique fixture as a task light, it's best to observe it in use or in a showroom. You can check how much light actually illuminates the surface below to see if it will be sufficient for the task. Your designer can work with you to determine if the light will work on its own, or if additional lighting may be needed. 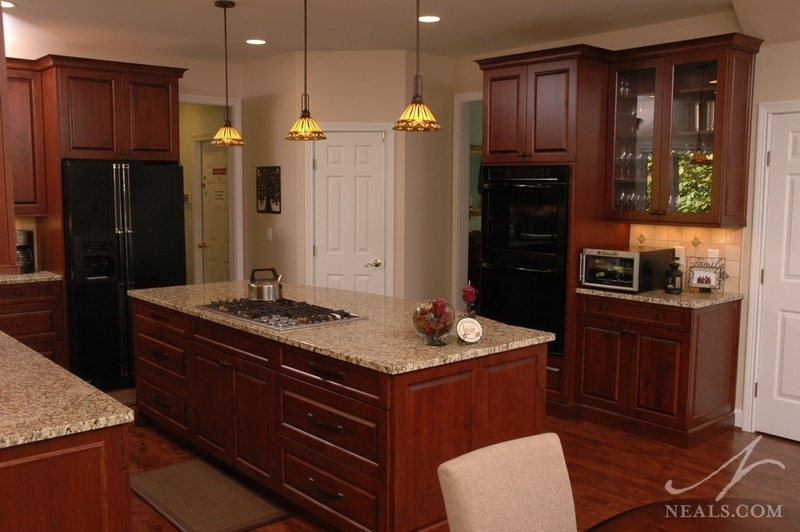 You can also consider pairing fixtures if two might work better than one, and both would still fit in your kitchen. Need more inspiration? 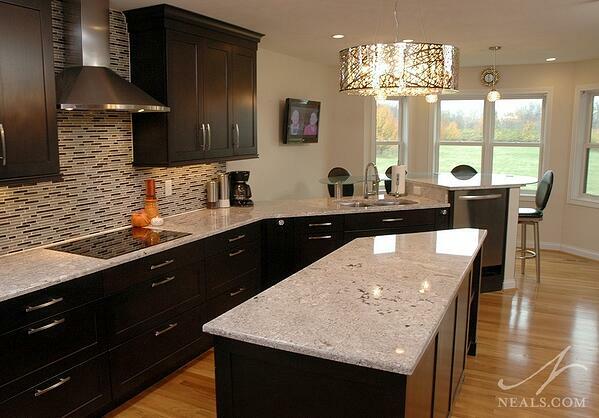 Check out our Houzz Ideabook showing Neal's decorative task lighting installations.